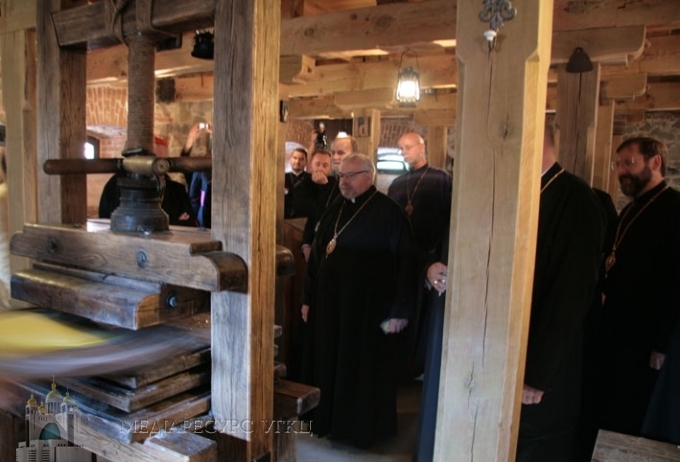 On August 15, UGCC bishops who are participating in the UGCC Synod of Bishops in Kyiv, had a traditional day of a spiritual retreat in the historic-cultural complex, the Radomysl Castle (in Radomyshl, Zhytomyr region). 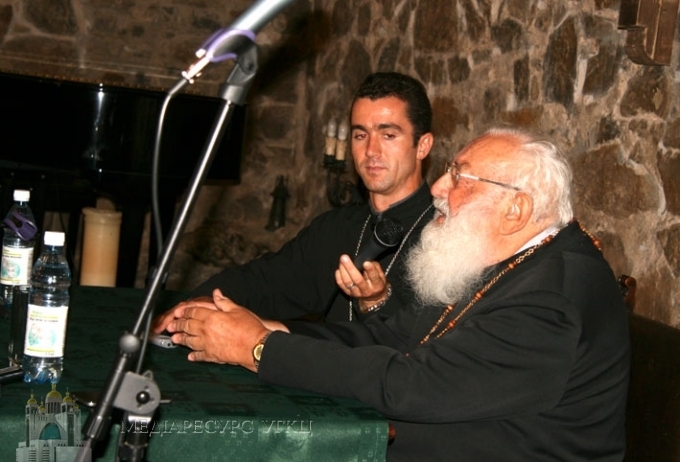 A spiritual lecture on the topic discussed during the Synod – the roads of further evangelization – was presented by His Beatitude Lubomyr. 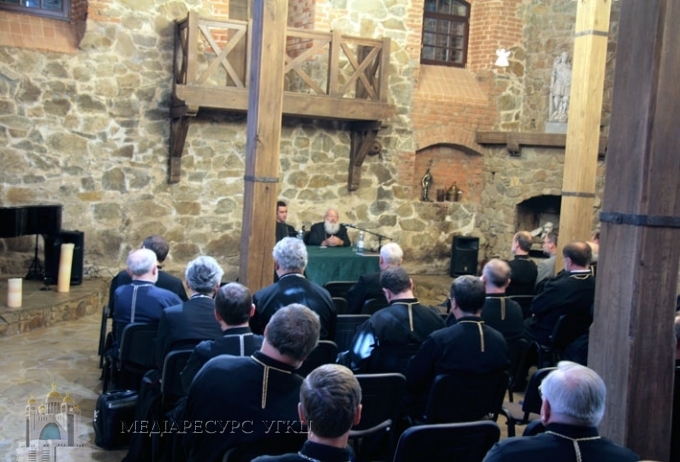 He stressed for the success of the new evangelization in the boundaries of his eparchy falls on the hierarchs. 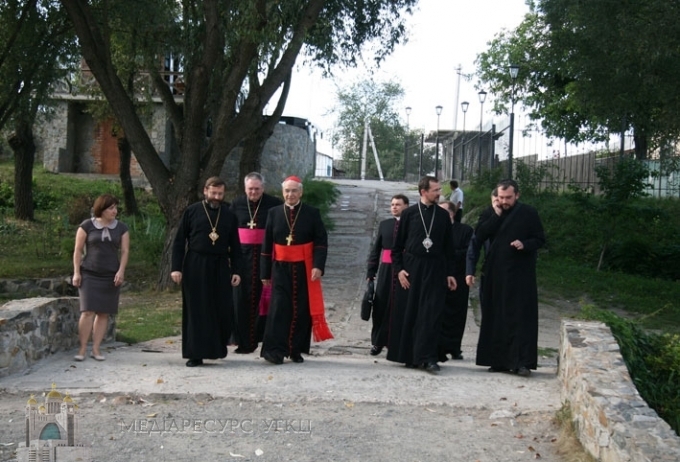 This task is first delegated to them. 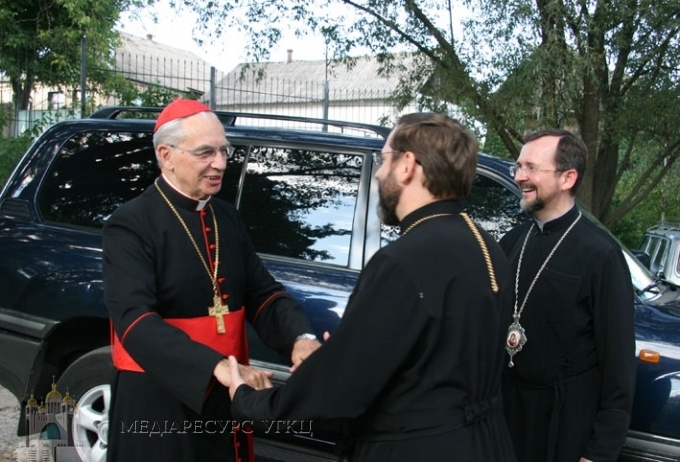 And the bishops have to closely cooperate with the clergy and the laity during its implementation. 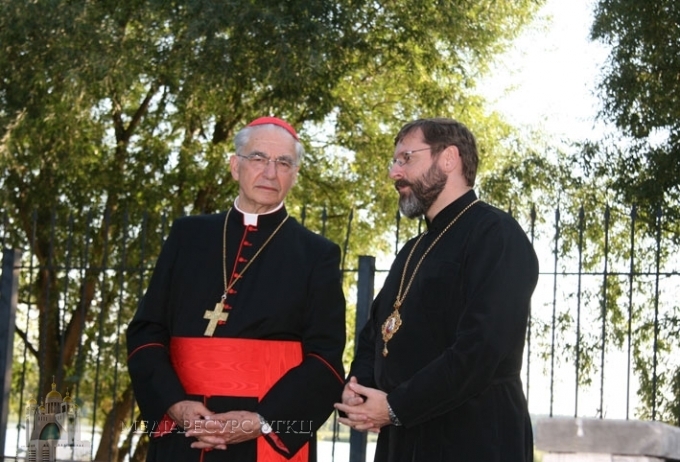 The Synod Bishops celebrated Vespers to the Blessed Mother. 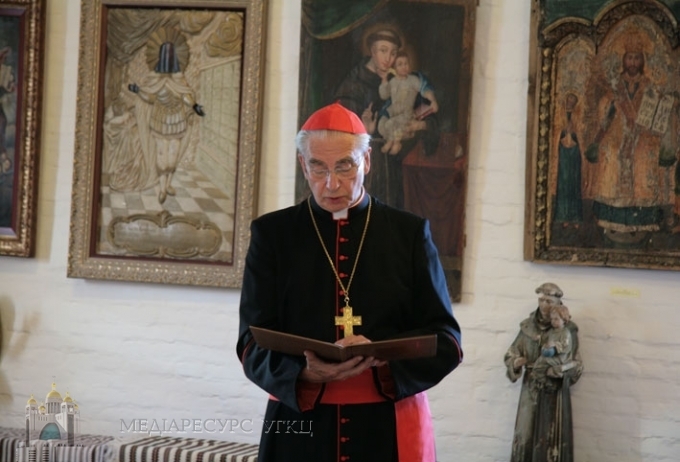 After the prayer Cardinal Bačkis spoke to the bishops, saying “when we celebrate the anniversary of the Baptism of Kyivan Rus, we survey whole famous history of your Church which has roots and cultural traditions to the times when Christians lived in unity with other churches. 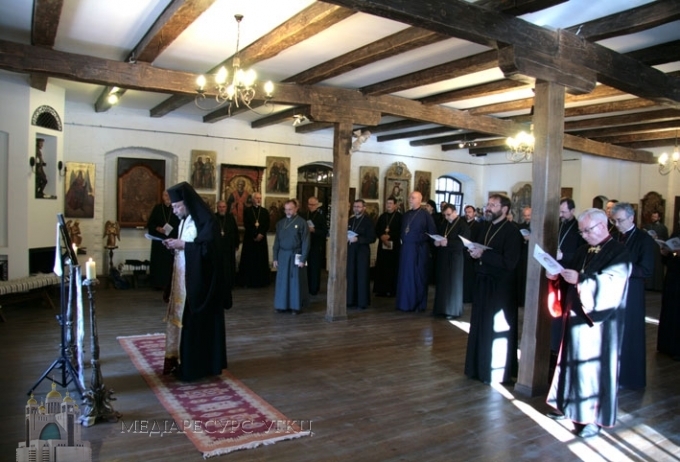 Therefore, we were persistently pray for unity which Jesus desired, and we will walk down the path of ecumenical dialogue between all the Churchs who consider themselves tied with the spiritual heritage of Saint Volodymyr. In conclusion there was an evening meal. 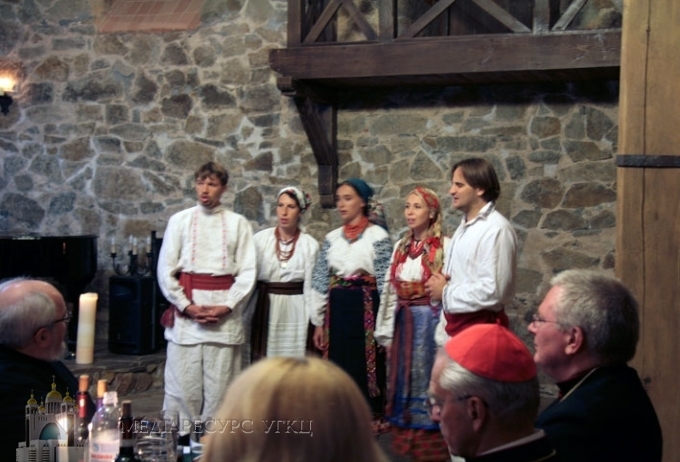 During which the Synod greeted those bishops for whom this year marks a birthday jubilee, anniversary as a priest or a bishop. 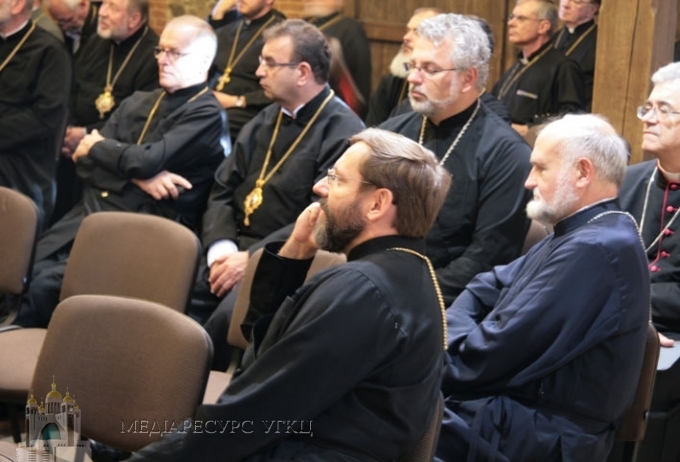 Also all UGCC Bishops were given the book, Ukrainian Greek-Catholic Church: First Steps. Testimony. 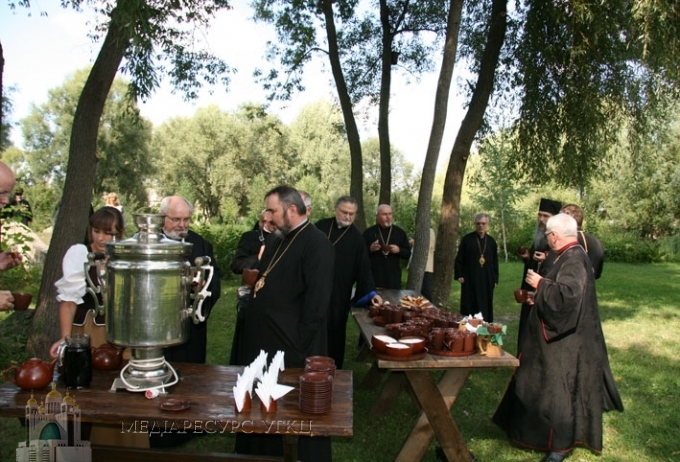 Rebirth, published for the 1025th anniversary of the Baptism of Rus-Ukraine. 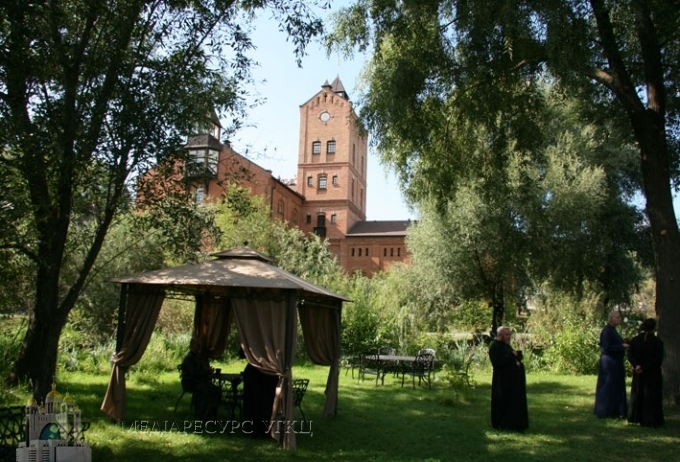 The spiritual retreat day ended with a concert by the group Bozhychi. 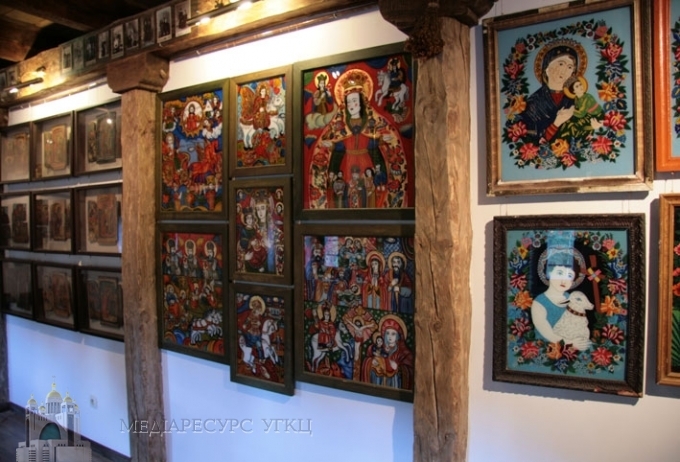 Radomyshl in the second half of the 18th century was the Seat of the Uniate Church Primate.